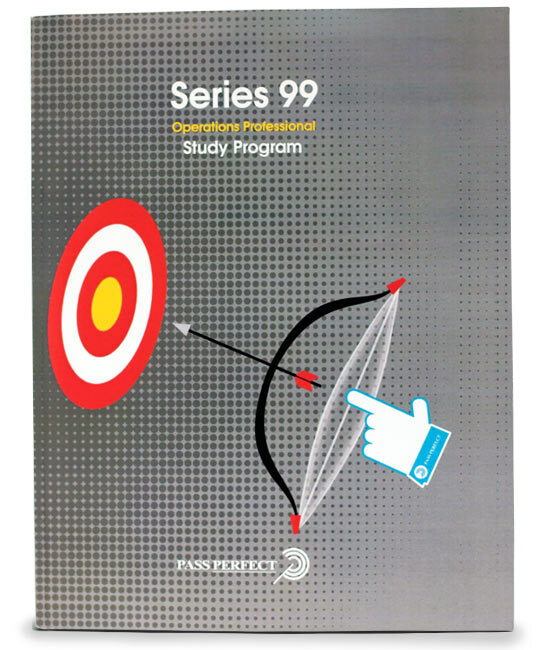 The Series 99 Operations Professional is for anyone in the FINRA list of "covered persons" that must be registered. These are essentially supervisors of client-facing back office functions, and persons who design and implement back-office operations and control systems. Clerical personnel are excluded from the requirement. Also remember that anyone who currently has a Series 6 or Series 7 license is grandfathered. Six simulated Final Exams with detailed explanations complete the program. 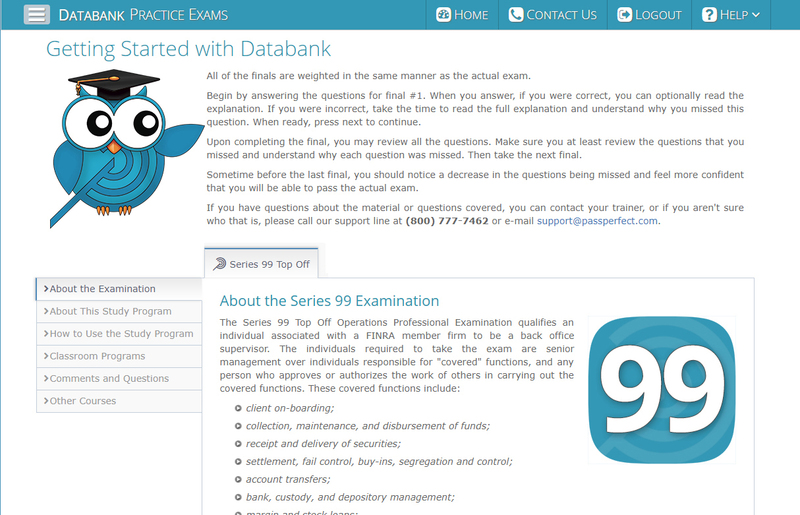 When used with our Printed Materials, the Series 99 DATABANK Practice Exams software is a convenient and effective method of testing overall comprehension of the material. Using the DATABANK Practice Exams software helps to ensure a full and complete understanding of the material by presenting practice questions of similar complexity to that of the real exam. The program consists of 5 Final Exams drawn from the major topics found on the actual exam.